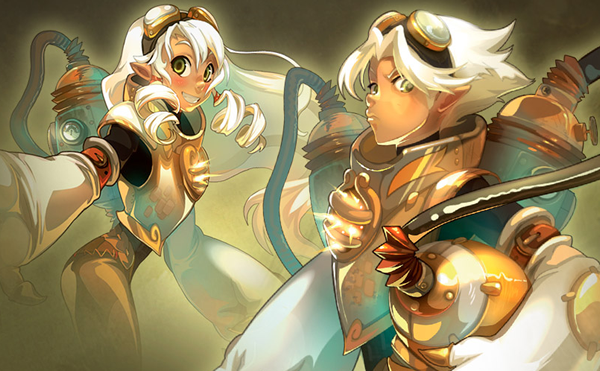 Professions are a good way to get Dofus Touch Kamas (the money used in the world of DOFUS), especially for novices. It's obviously that the most difficult thing to do in Dofus Touch as someone just starting out is choosing a profession and making money. Unless you're a paying player, these are the professions I strongly urge you not to take up: Mining and Tailoring. Both can be immensely profitable, but are like pulling teeth until you get to a decent level. 5. as a high possibility - self sufficient (no external mats used or used as less as possible). Under these criteria, Alchemist is pretty nice for a newcomer, though farming is a close second. Alchemy is a good profession to start with, then you can harvest all your mats and make potions, its immediate and you can make some good potions. Being able to heal yourself early is a real advantage for low level players. Don't have to waste levelling time on resting, and you can make a little kama by selling healing potions or recalls. Not a bad way to start the game as you're pretty self-sufficient almost immediately. Just pay attention you will have a large geography of mats on higher levels, so you'll use zaaps (a bit money-consuming). Alchemist and Farmer are very easy to do around Astrub because most resources are available there. Even the highest level, subscriber Alchemists still come to Astrub for most of their regular ingredients, and for Farmers Astrub Fields is one of the three largest cereal areas (the fields south of Bonta and the Ingalsses' Fields in Amakna being the other two). For beginning players, Lumberjack is not necessarily a hard profession. Ash and Chestnut are plentiful in Astrub Forest. There's a bit of competition for walnut, but it's still one of the better areas for that. And 1-2kk per 100 units of wood is a very nice income for low-level players. In a few hours you could make ten thousand kamas. You'd be able to buy some quality equipment after only a few days. Here's a basic chart of level 1-30 wood and their availability in Astrub. 1 is rare and 10 is common. One of the benefits of being low level but high profession level is that there are only a few Chestnuts in Incarnam, but barely anybody cuts them because nobody in Incarnam really practices high-level Lumberjacking. Fisher is a hard profession because it takes ages to gain levels because you only gain experience when you actually catch something (and even then, not when your inventory is full). There is also very little fishing to do in the Astrub area (only the pond in the city itself). There isn't exactly an easy way to make money, and it can get quite frustrating, but eventually it does get better. As for which of these professions (Lumberjack, Alchemist, Farmer, Hunter) are best to choose to make kamas off early on, I'd say those are Lumberjack and Alchemist. Farmers can make good cheap dofus touch kamas once they become Bakers too because most players use bread (instead of potions, fish or meat), but Farming alone doesn't get you a lot. You can gain experience in Farming very quickly though because you don't have to travel/wait for respawn much, so reaching level 30 and becoming a Baker isn't really an obstacle. Wood is always in demand, so Lumberjacks make good kamas. Alchemists' potions aren't used as much as bread, but it's still a nice income. Recall Potions are good too. Hunting I wouldn't recommend as a source of income because hardly anyone uses meat (or fish for that matter) to heal. Hunter/Butcher, Fisher/Fishmonger and Farmer/Baker should all be considered in pairs because the raw products the former profession yields are not much use without the latter profession's refining. In this regard Alchemists have an advantage because they can both gather resources and create useful items from them. This uses only one of the three profession slots; good to know if you want to learn as many as possible without creating numerous alt characters. To just get "some extra kamas", farmer/baker is probably the least-investment setup. There will always be someone mass-buying and mass-selling 100x stacks of good breads, extremely reliable. Crafting professions require too much investment to just make "some extra kamas". Which one would you prefer? Pick the most suitable profession you think and start making kamas! To celebrate the upcoming new year, DofusTouch-Kamas.com will hold the 4% discount promotion. During the December 26, 2016 - December 31, 2016, you will get the 4% extra bonus with your each buying. The coupon code is "PNY-KAMAS". Buy Cheap Dofus Touch Kamas here!